Have you ever had the urge to do something, but don’t really have a good reason why? Well that happened to me about 12 years ago when I suddenly decided I needed a sewing machine. I had absolutely no interest in making clothes or anything like that. I just had this thought that maybe in the future I would like to make a quilt. That day came a few years later. I made one of my first quilts for my Grandpa who was just moving into a nursing home. I wanted to make something that would make him feel more comfortable in his new living situation. I wanted him to know that he was loved and special. It was important that it was something made by hand rather than being bought in a store. So I thought a quilt would be just the thing. Since I really didn’t have a clue on what to do, I ended up making my Grandpa more of a quilt sandwich. 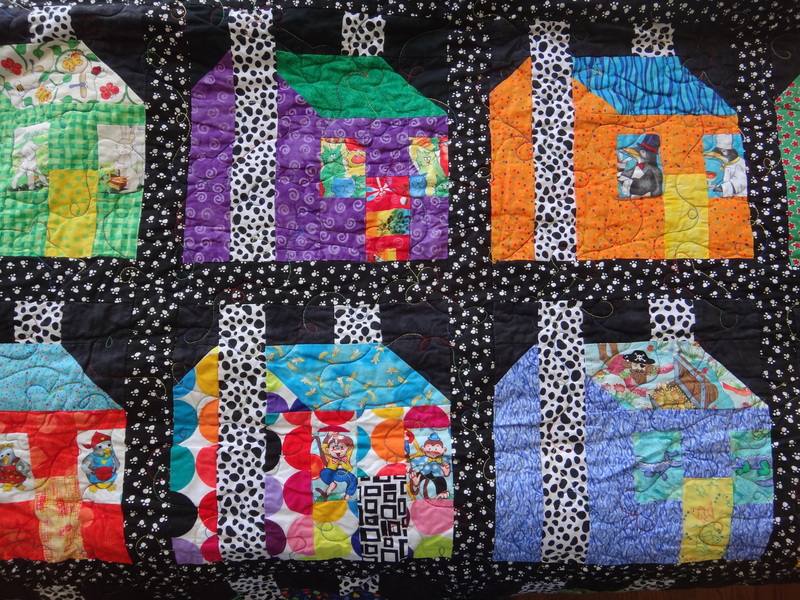 The quilt was made from one piece of fabric on the top, a piece of flannel for the bottom and just simply sewn together. Then rather than tying the quilt together, I used big red buttons to hold the batting in place instead. 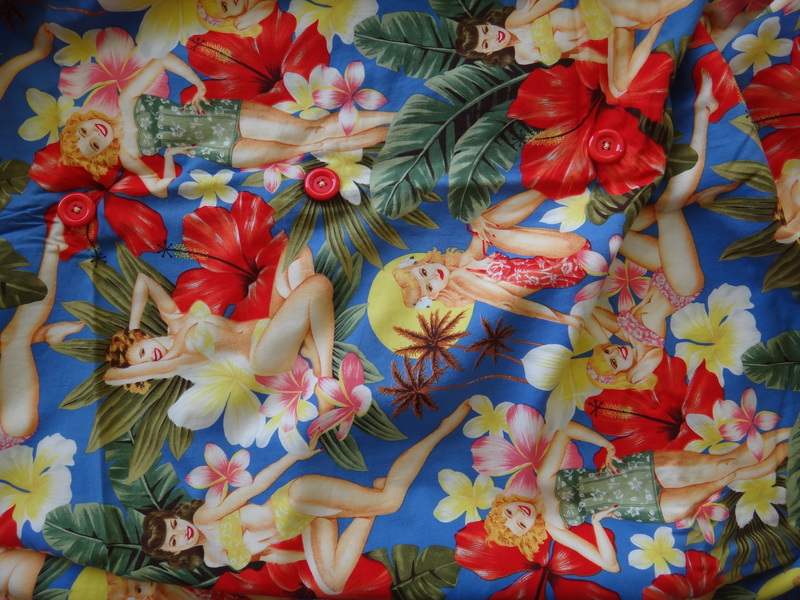 The top fabric had these old fashion bathing beauties pictured on it and it was perfect for my Grandpa. The nursing staff would ask my Grandpa if he wanted to be tucked in with “his ladies” and regardless of the room temperature, he always said yes. My Grandpa loved his ladies. Even though that quilt was so simple, I was starting to be intrigued by the idea of creating another quilt – maybe this one with MULTIPLE pieces!! So I did a little experimenting. However at this point I did not know that there were tools like rotary cutters, cutting boards and plastic rulers. So I was just cutting fabric with scissors and eye-balling the size. How crazy is that? Needless to say the final shape of my first experiment defied the laws of geometry! A little while later, I happened to be talking to a friend who turned out to be an accomplished quilter. She told me about rotary cutters and all of that stuff. I was absolutely astounded that these kinds of tools existed! So I told my husband that we were going to go down to our local fabric store and pick up some of those gizmos and what not. I couldn’t believe what a difference a rotary cutter and plastic rulers could make! Good bye Little House on the Prairie approach!! But the real moment of truth came when another friend of mine showed me a quilting book called Freddy’s House by Freddy Moran. I can definitely say that I was beside myself as I was looking through her book. I immediately went out to the store and bought my own copy. Her book so tickled my fancy I can’t even describe it. I read her book over and over again, marveling at the pictures as well as her story. My first non-sandwich quilt was made later that year by following a pattern in Freddy’s book. It was one of her house patterns and wow did I have a blast putting it together! Since I had not set up a permanent space to quilt yet, I was just sewing at our dining room table. I would then tape, yes tape, each house to our dining room wall and just stare at it. I was thrilled with each finished house. It was then that I also discovered the total joy of building a fabric stash and the crazier and brighter the fabrics the better! And of course I need not mention that I am a firm believer in the “the more the merrier” concept! After I finished that first quilt, I learned Freddy was teaching a class at one of my local fabric stores and I quickly signed up for that. To actually be able to take my first quilt class from the woman whose book set my soul on fire was incredible! I loved every single second of her class. I couldn’t wipe the huge grin off my face. I knew I was hooked on quilting for life! Wow! Great story with lots of color. Amazing story! Good for you. Your dad sent us the web site.. The quilts are beautiful. Especially enjoyed your “grandpa” story. Remember him well from Birwood days.